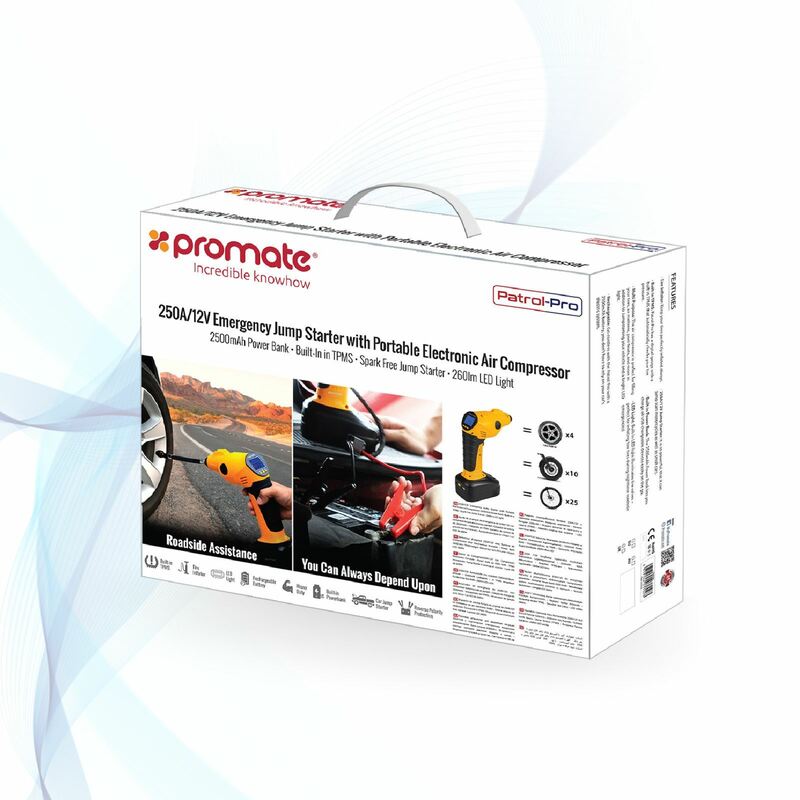 PROMATE 12V Car Jump Starter Kit. 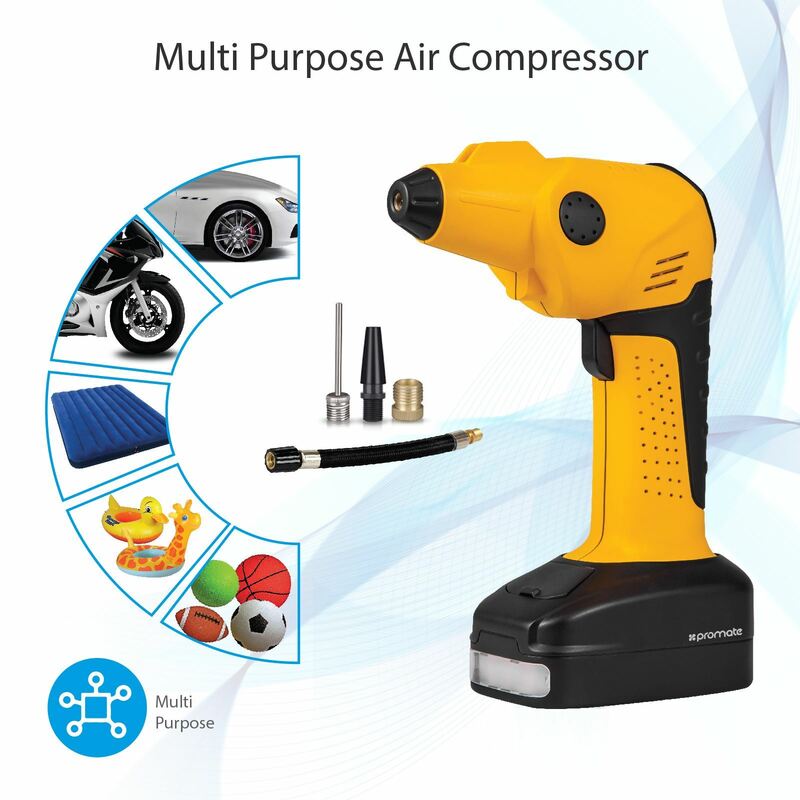 Includes Electronic Air Compressor 2500mAh built-in Power Bank, 260lm LED Light, Built-in Tire Pressure Monitoring System. Includes Multi- Purpose attachments. 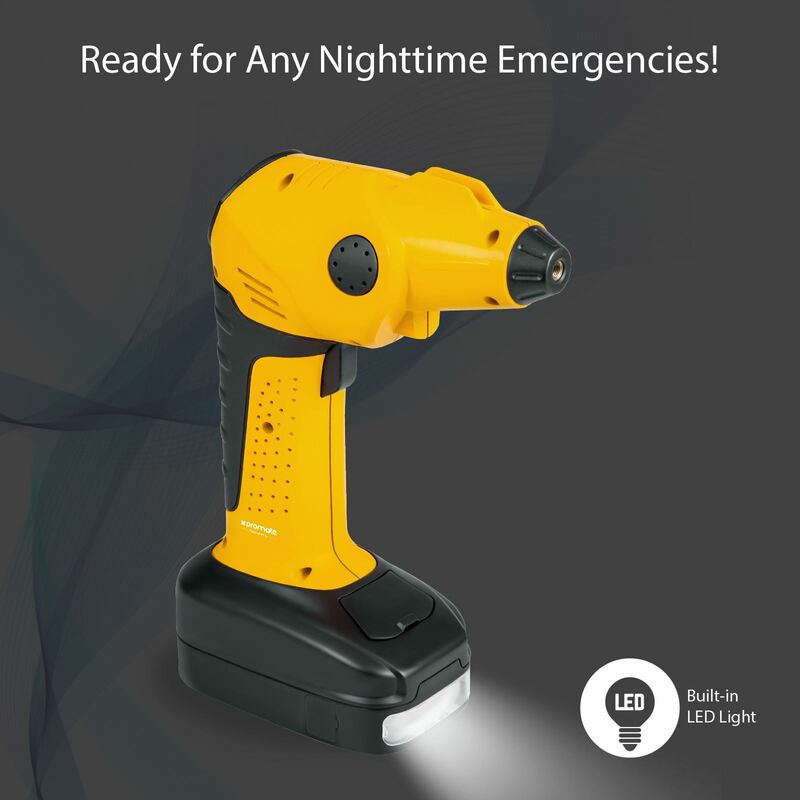 Perfect for your car emergencies! 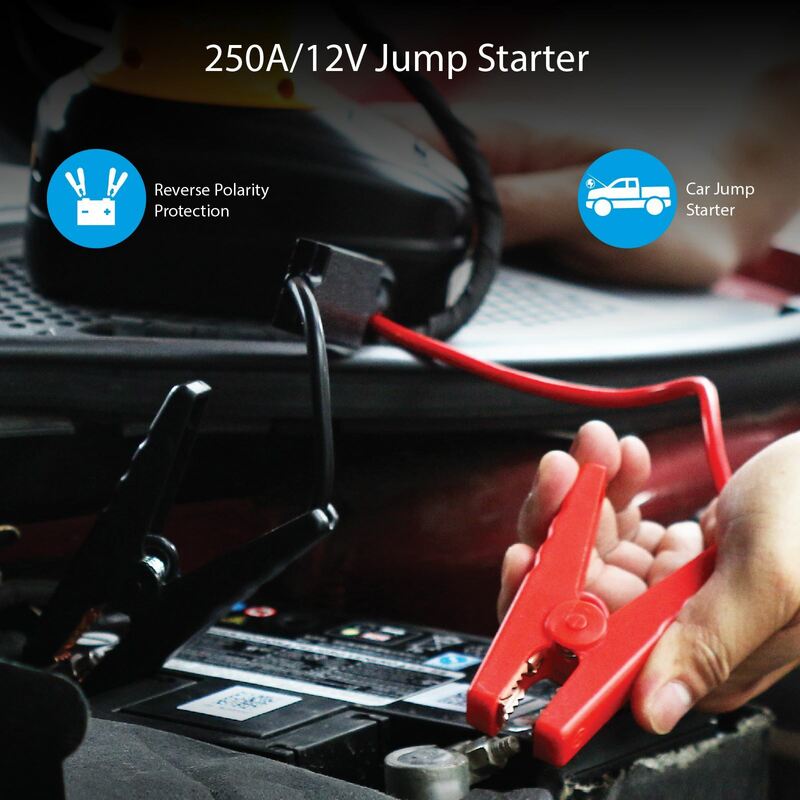 With a 250A/12V portable jump starter, you will not be stranded on the road with a dead car battery. The built-in TPMS reads pressure and automatically shuts off when it reaches desired tire pressure. 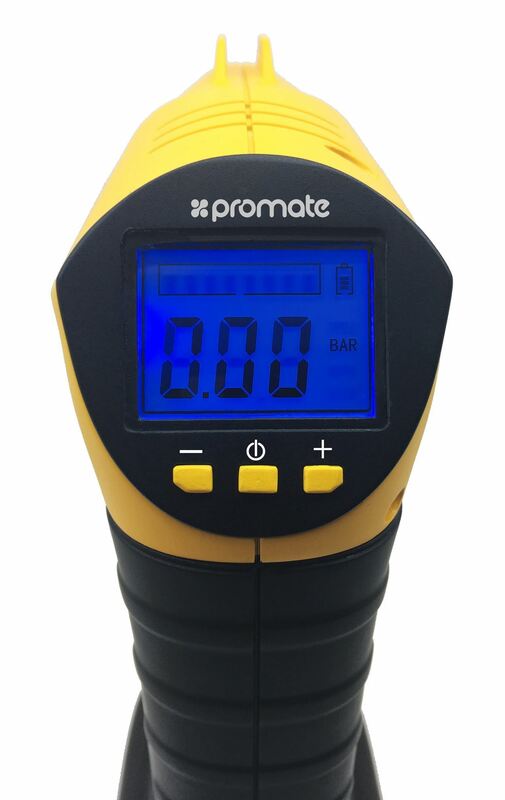 Patrol-Pro includes a flexible long hose with tread connector to ensure a proper seal with valves. Pin attachments are also included for inflatable toys! 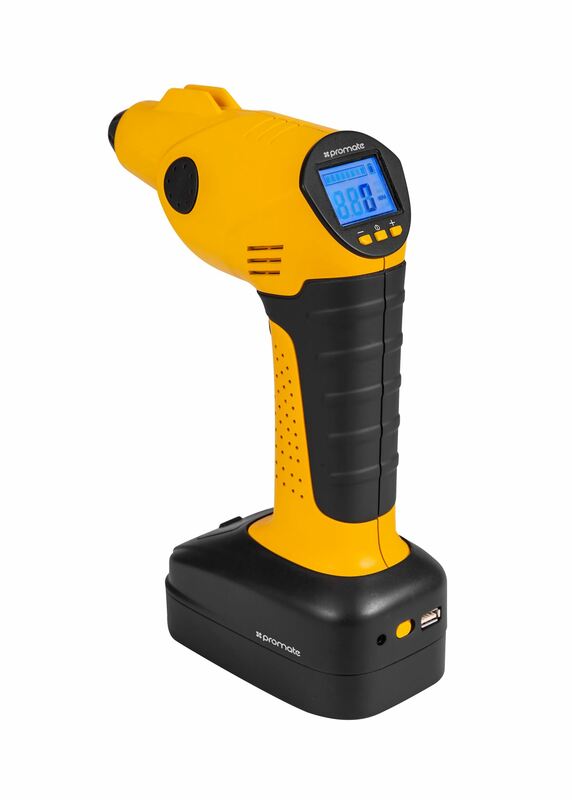 This portable air inflator features a built-in battery that lets you use the device on the go. 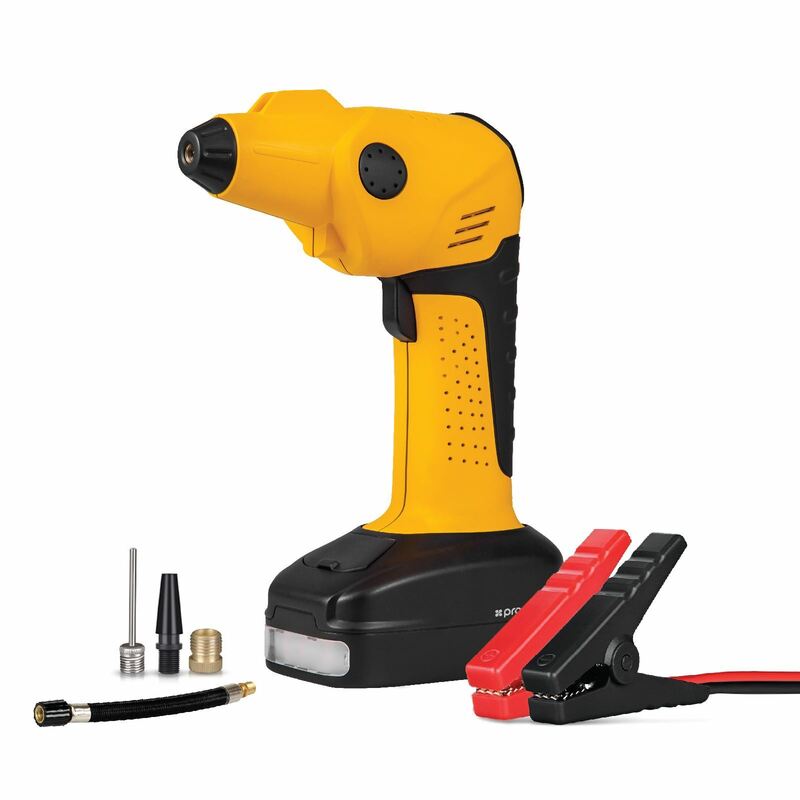 Its compact design lets you store it in your glove compartment, toolbox, trunk, garage or roadside emergency bag. 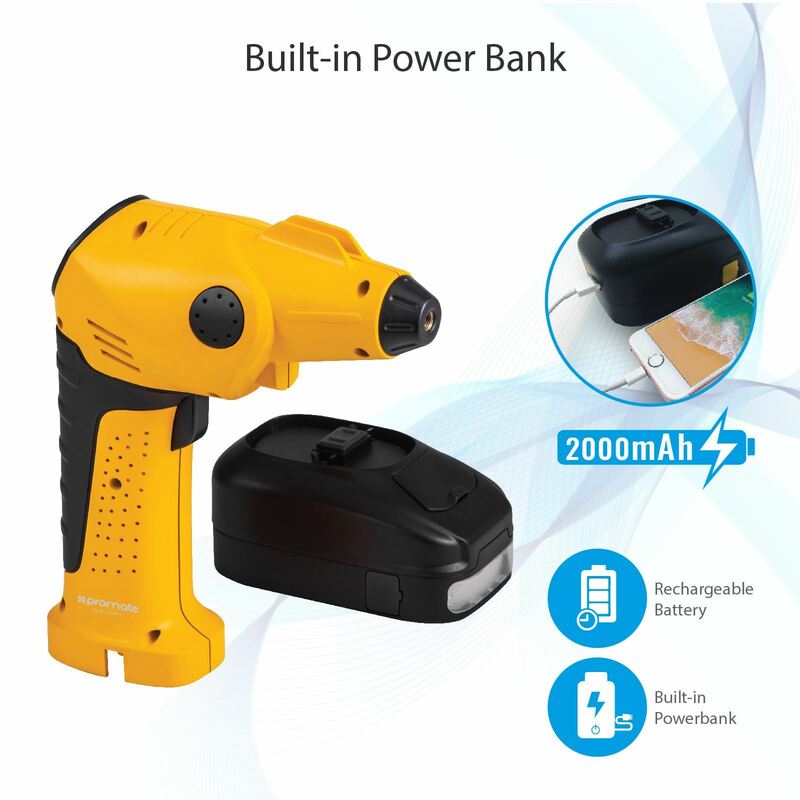 The power bank feature lets you keep your phone charged up in emergency situations. 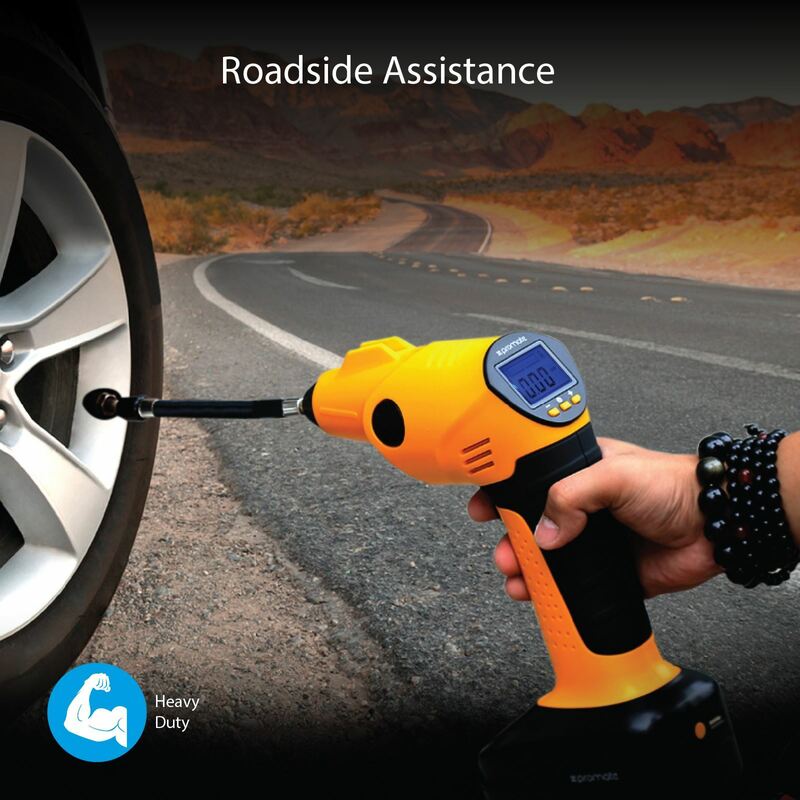 Built-in LED light illuminates tire valves – perfect for inflating low tires during nighttime roadside emergencies. 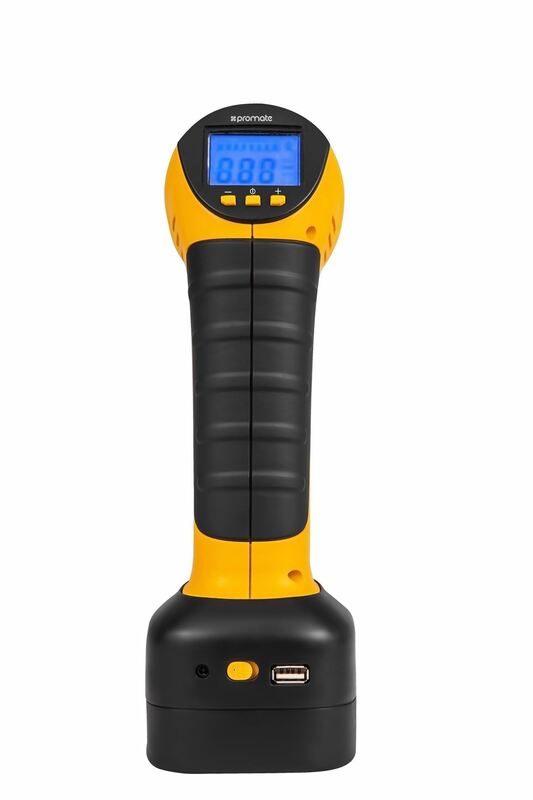 RoadGear-2 has a digital gauge with a built in TPMS that checks your tire pressure so your tires are always ready to go.